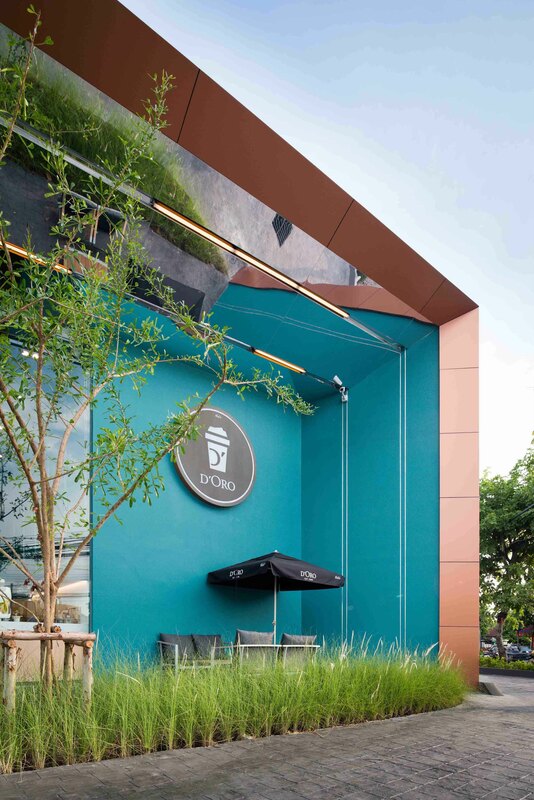 Building area : 150 sqm. 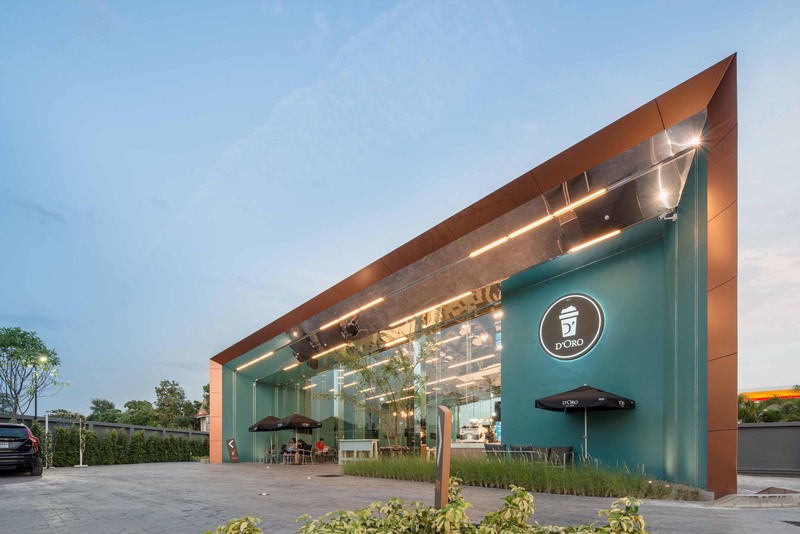 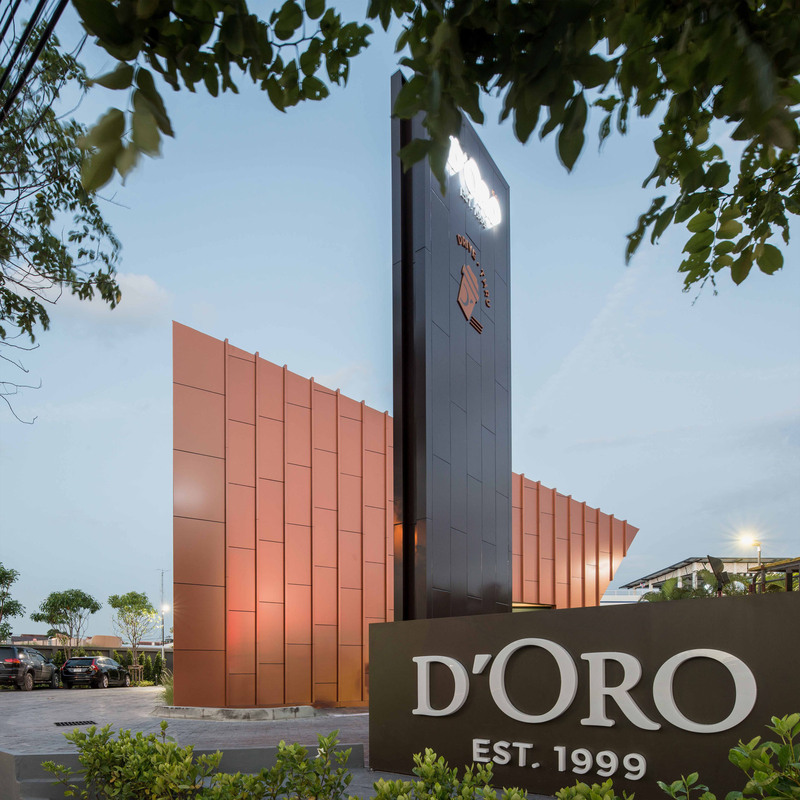 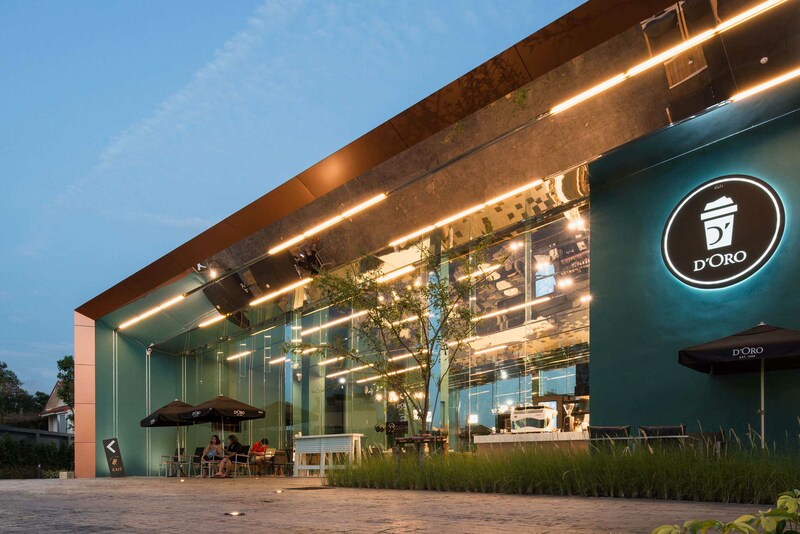 Inspired by the idea of 'willpower in a cup', the first D'Oro Drive-Thru shop energises customers and passersby by its dynamic elements and openness of form. 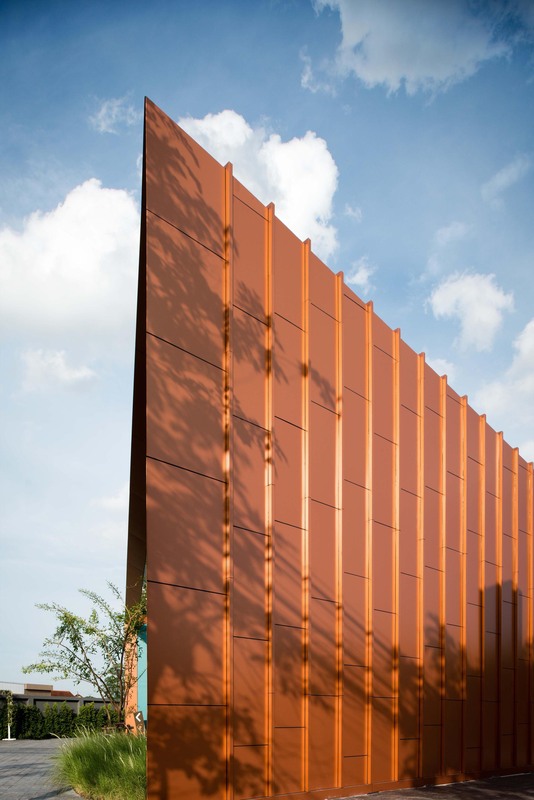 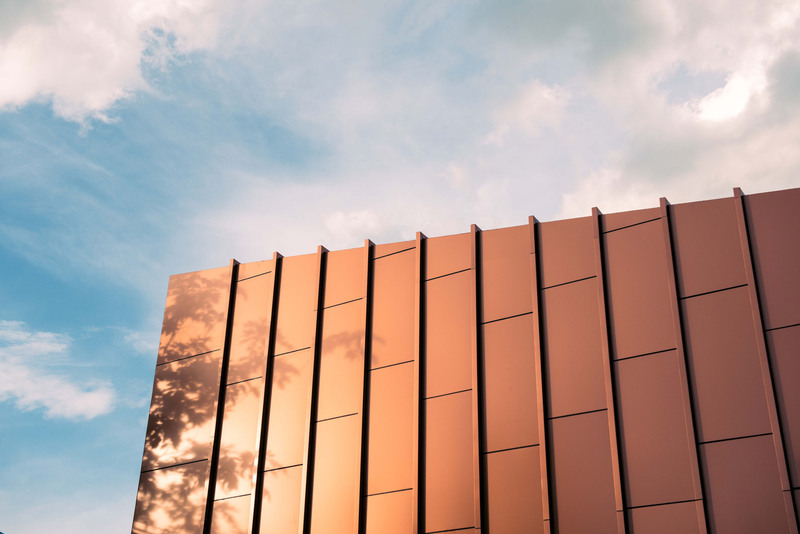 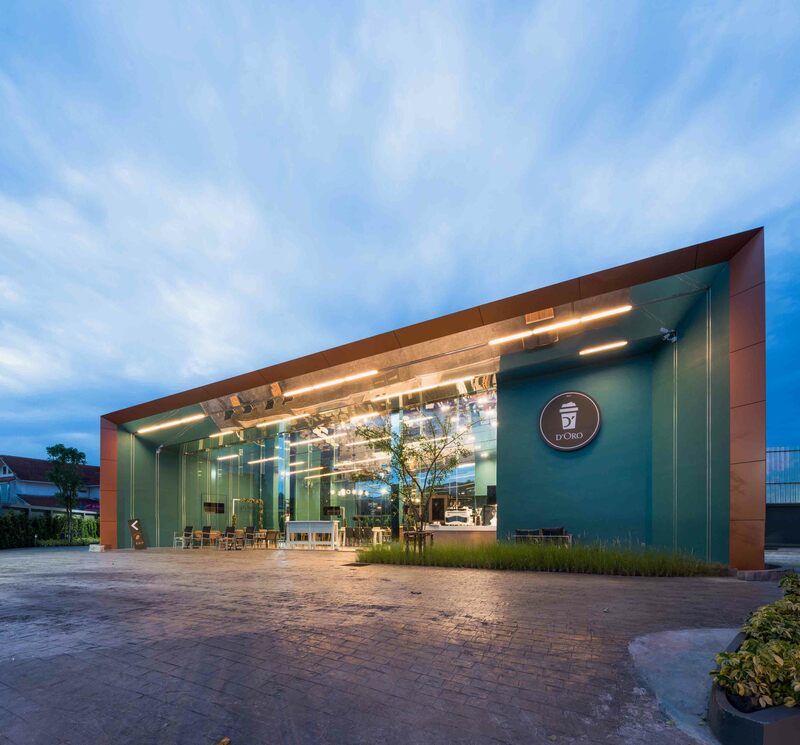 It is located on Sukhapiban 5 road in Sai Mai, one of the biggest residential zones in Bangkok, in which the heavy traffic during rush hours along this particular road demands a distinctive character of the building to stand out and attract commuters to stop by. 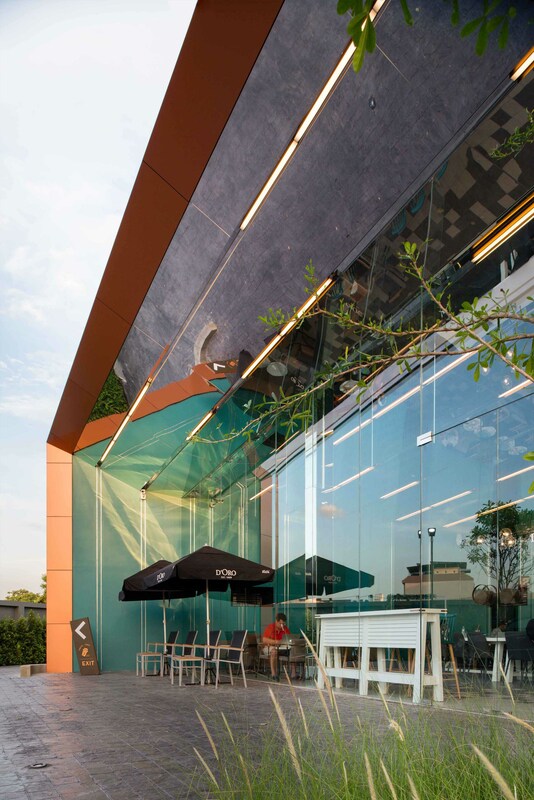 In order to create a dialogue between the context and the internal space, the clarity between inside and outside is intentionally disappeared by using full-height glazing on the entire front facade. 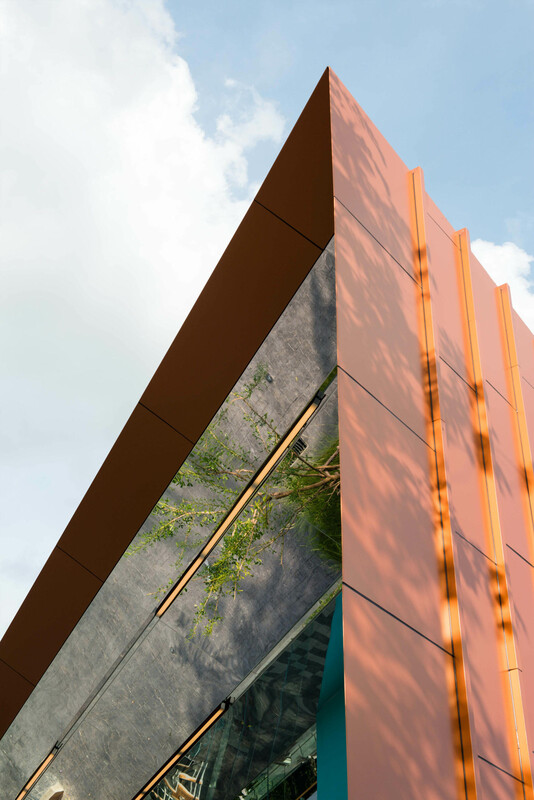 It allows internal atmosphere to flow out and outside to flow in. 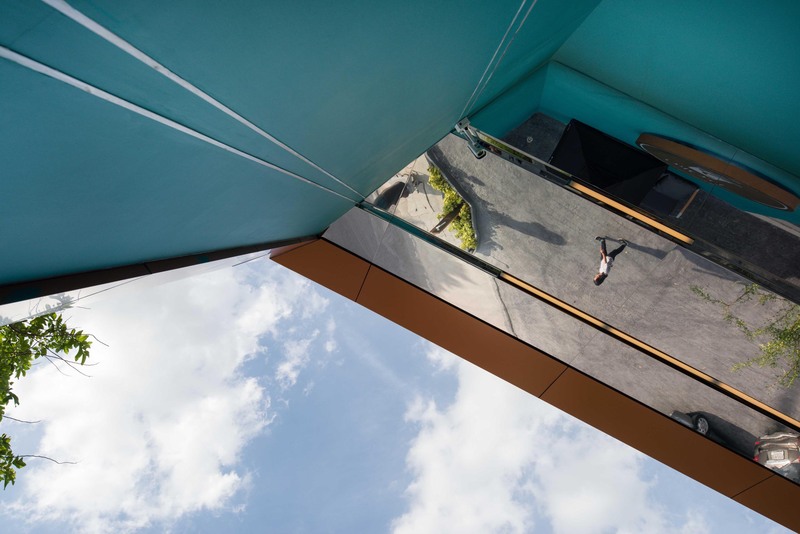 The mirror ceiling, running throughout the building from outside to inside, reflects and mixes the context, people and internal space together. 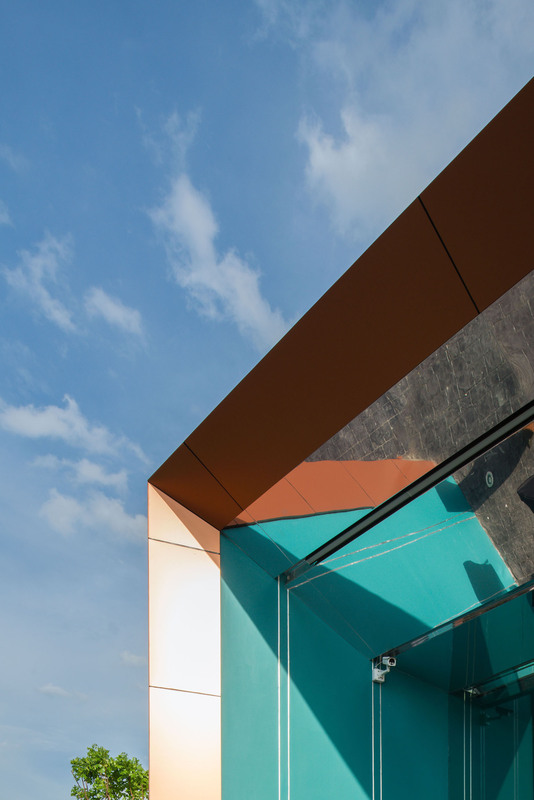 This phenomenon is even multiplied further by the use of a full panel of mirror on the whole back wall of the shop. 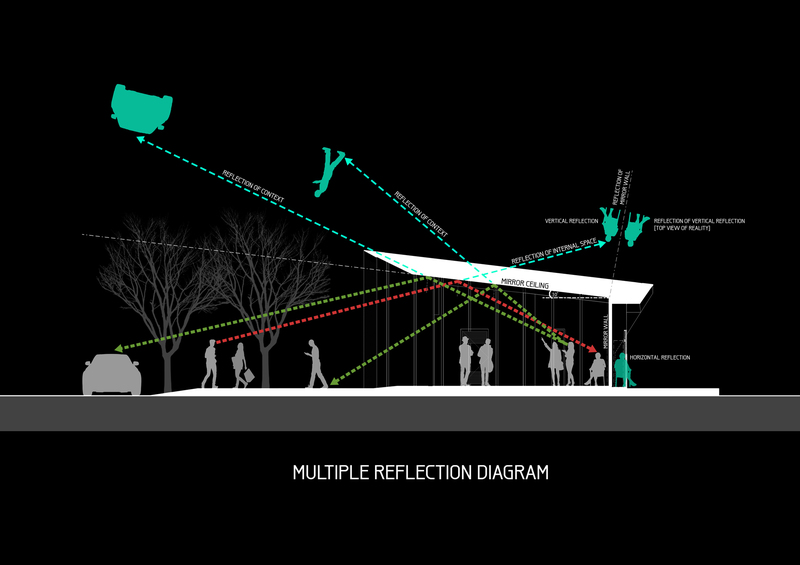 The result is an effect of quadruple spatial volume, sheltering a social space underneath. 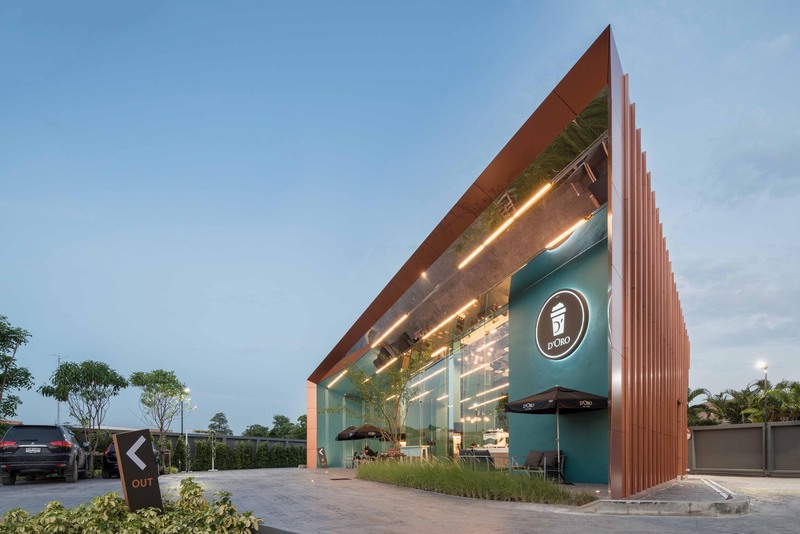 Looking from afar, it resembles an event pavilion in the landscape, rather than a conventional coffee shop that might otherwise appear introvert and unexposed. 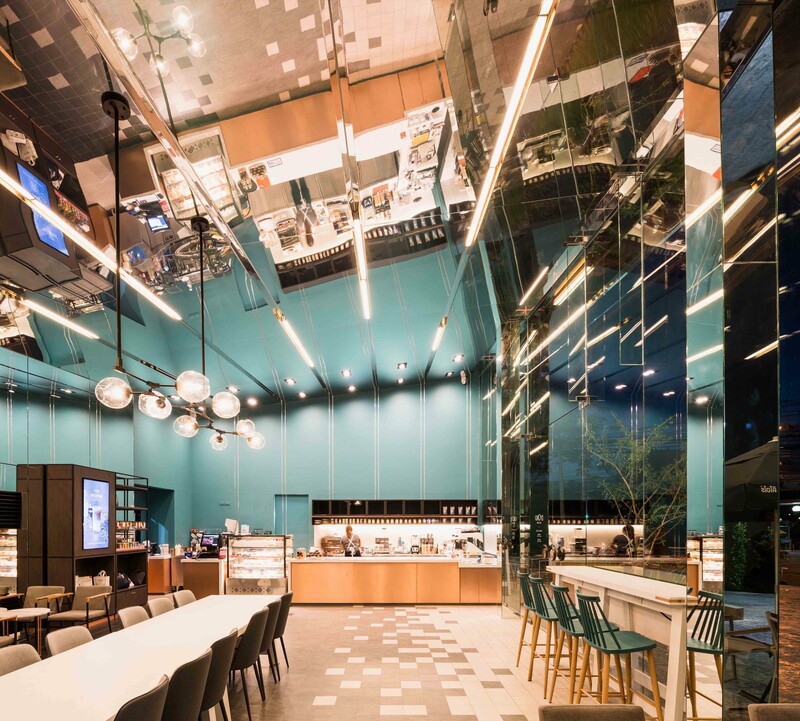 By using three colours of ceramic tiles, the floor tiling is organized in a gradient pattern in which the paler tiles are placed at the outer periphery while the darker ones at the innermost edge along the back mirror wall. 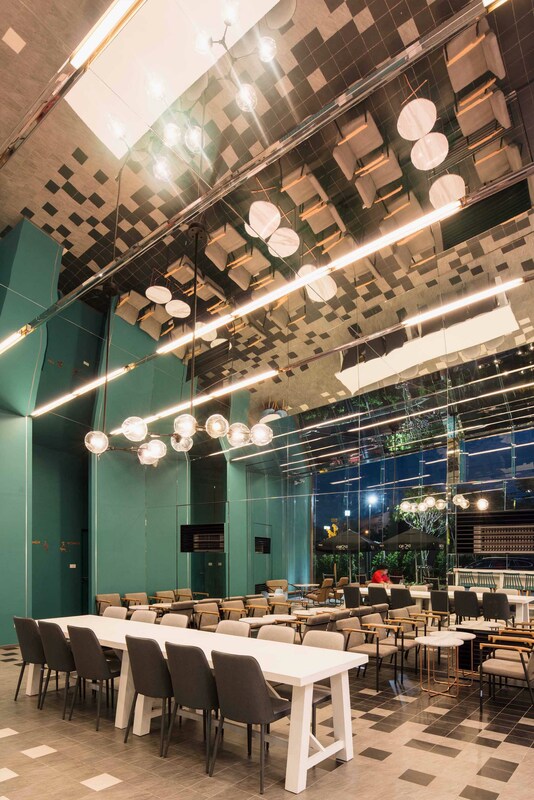 Consequently, with the mirror ceiling, the floor pattern simultaneously becomes the ceiling pattern, engendering the parallel effect within the space. 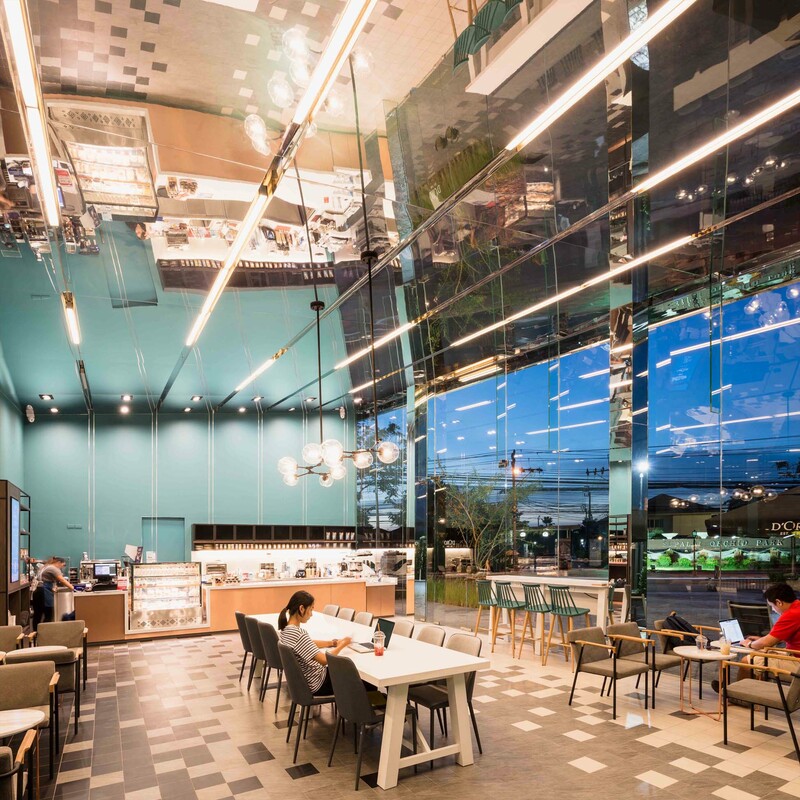 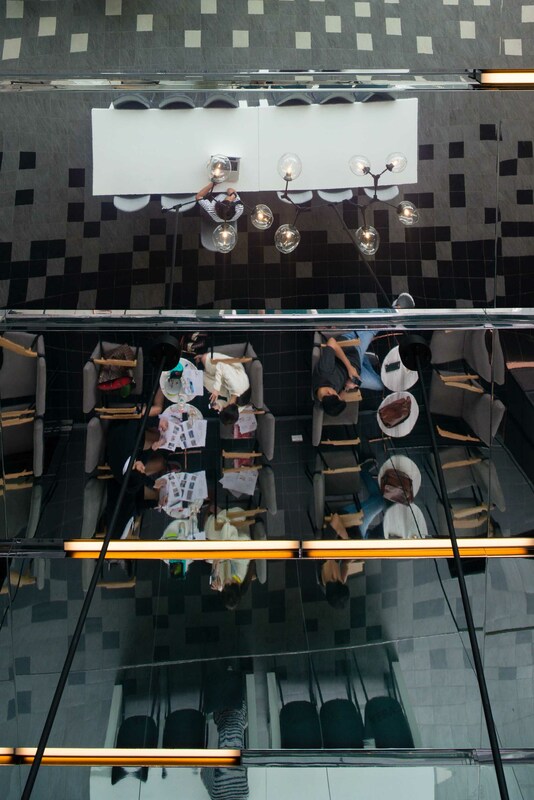 Customers can look up to the mirror ceiling and see themselves sitting in the middle of a big ‘cappuccino cup’ made up of small tiles on the floor.